The followers of Jainism are ardent followers of non violence and firm believers of non possession. Jains practice strict discipline in eating and have rituals to help them do so, and these rituals are known as daily Pachkan. Pachkan literally means vow. Using the age old calculations of Pachkan timings and accurate sunrise and sunset calculation by using location services, we present this app to give you the exact timings of Sunrise, Sunset, Navkarsi, Porsi, Sadhporsi, Purimaddh, Avaddh and Chauvihar. This app also shows the current chaughadiya and moon phase. What is BORG? Borg is a Study Companion. 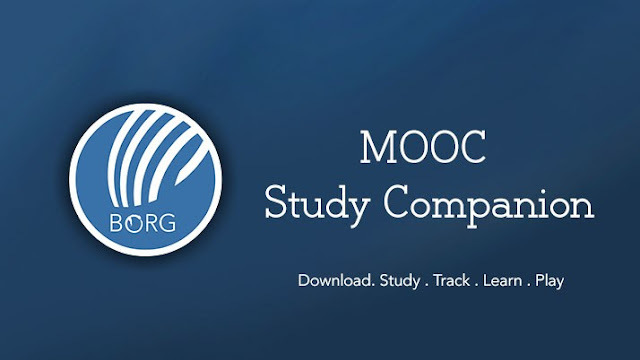 It makes learning through MOOCs, video courses easier, as it manages your downloads, downloaded videos, video playlists and notes. Borg makes studying from online and offline video courses completely seamless, with text and voice notes tightly integrated with the videos. It also has full featured download manager, for course videos and resources as studying via online streaming videos is not possible in many countries, where bandwidth is low and expensive during day time and better and cheaper bandwidth is available during night. So students can download their videos at night and study during the day, keeping themselves in good health. Save whole courses in the library for quick access in the “courses” section. The Tirths are the roots which ground us to our religion and help us branch into the open sky of liberation. We intend that wherever you are, no matter how far, you are never too far from these roots. Going on a yatra/tour of the 108 most auspicious temples of Lord Parshwanath, the 23rd Tirthankar of Jainism, is not possible for everyone. But even if you cannot go, using this app you can do darshan of Lord Parshwanath in his 108 most auspicious and revered temples wherever you are. You can view the image of the idol in the various temples in sequential or random order along with mantra audio. To get an immersive meditative experience imagine yourself sitting in front of the idol in the temple, while putting the mantra on repeat. This effect is best when you are using a 10in tablet, it is a very relaxing and heartening experience.